Happy Patel says he has seen more customers from Kansas in his Kansas City, Missouri, store since Kansas increased its per-pack tax by 50 cents in July. Last year’s temporary budget fix raised the cigarette tax by 50 cents per pack. That was only one-third what Brownback had requested, but even that level of increase was a source of considerable angst for legislators. Brownback said in October that he plans to balance the budget in the upcoming session without further tax increases. His spokeswoman, Eileen Hawley, said in an email Friday that he will not propose another cigarette tax hike, even after revenue estimates were lowered in November, leaving another budget hole. But the fears some legislators voiced about last session’s tax increase have not come to pass, which could crack the door for another increase if the Legislature finds itself scrambling against the clock to balance the budget again. Taxes on smokeless tobacco products also could be part of the discussion, and hearings on electronic cigarette legislation are almost a certainty. Happy Patel is a big fan of the cigarette tax increase that the Kansas Legislature enacted last session. He believes it's helped his business. 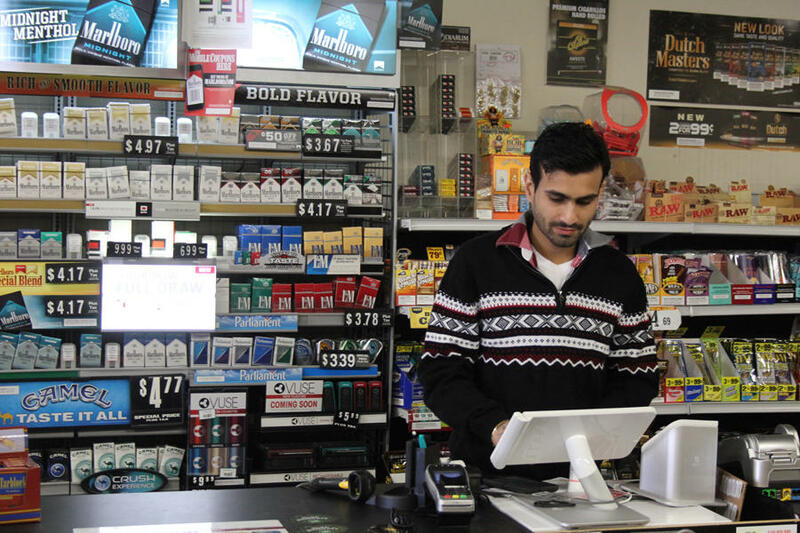 Patel owns Discount Smokes & Cheap Smokes, a tobacco shop on the Missouri side of State Line Road in Kansas City. Missouri has the lowest cigarette tax in the nation at 17 cents per pack. Across the street in Kansas the tax is now $1.29 per pack, and those who usually shop on the Kansas side of State Line Road seem to like his prices. “They say, ‘We buy it in Kansas,’” said Patel, adding that customers say the prices at his store in Missouri are much lower. Patel’s windfall was the nightmare scenario for Kansas legislators. They disregarded Brownback’s larger tax-increase proposal in part because they feared Kansans in border counties would flock to Missouri to buy their cigarettes, nullifying the revenue boost needed to balance the budget. Despite anecdotes like Patel’s, the aggregate data shows that so far cigarette tax collections in Kansas haven’t suffered. Since the state tax rose from 79 cents to $1.29 per pack — a 63.3 percent increase — revenue from tax stamps is up 65.5 percent over the same period in 2014. That means cigarette sales actually have climbed a bit in Kansas for the first five months of the higher tax. Kansas isn’t losing much cigarette business to Missouri. Nor have Kansans cut back on their cigarette use. “We haven't seen the decline in consumption that was expected, but don’t have an explanation,” Jeannine Koranda, a spokeswoman for the Kansas Department of Revenue, said in an email. Public health advocates had warned that the 50-cent increase wasn’t likely to be nearly the deterrent that Brownback’s proposed $1.50-per-pack hike would have been. But they still expect it to help lower smoking rates somewhat in the long run. “Regular and significant tobacco tax increases are an effective strategy for reducing tobacco use, particularly when the increase is coupled with funding for proven cessation programs,” said Kevin Walker, regional vice president of advocacy for the American Heart Association, which was part of a coalition of public health groups that pushed for the governor’s $1.50 increase. Since the Kansas cigarette tax rose from 79 cents to $1.29 per pack, revenue from tax stamps is up 65.5 percent over the same period in 2014. Anti-smoking advocates say the state is paid back several times in public health savings for every dollar lost in tobacco taxes when a person quits. But in the short term, the extra revenue from Kansans continuing to buy cigarettes looks good to legislators weary of budget crises. Addressing an interim committee last month, Chris Courtright, the legislative research department’s top economist, called the higher-than-expected cigarette tax revenue “the biggest piece of good news” after months of lackluster reports from other revenue streams. But Courtright also warned that recent history suggests anti-smoking advocates may be right. Walker offered a possible explanation for the delayed consumer reaction. Tobacco companies often use coupons and rebates to buffer the effect of a tax increase and ease smokers into paying more. Walker expects cigarette purchases to fall but said Kansas policymakers still have work to do to deter smoking. The tax rate remains in the bottom half of states nationally, and Kansas doesn’t fund programs that help people quit at recommended levels. Brownback’s proposal for the last legislative session would have raised the tax rate on other tobacco products as well, but legislators stripped that part from the final package. The current tax of 10 percent of wholesale price on products like smokeless tobacco and cigars has not changed in decades. Jodi Radke, regional advocacy director for the Campaign for Tobacco-Free Kids, said not keeping the smokeless tobacco tax in line with the cigarette tax gives smokers an incentive to shift their addiction to smokeless tobacco rather than quit. “The Legislature's decision to not include other tobacco products in the final package last session, despite Gov. Brownback's inclusion in his budget proposal, was disappointing and a missed opportunity that encourages users to choose alternate products to evade the current taxation on cigarettes,” Radke said. Smokeless tobacco users remain a much smaller share of the overall tobacco market than cigarette smokers, but their numbers have been growing in recent years while cigarette use has declined. Radke said if the Legislature is willing to consider increasing the tax rate on other tobacco products in the upcoming session, her group would support that. Anti-smoking advocates will be taking more of a “wait-and-see” approach on e-cigarette taxes, she said. Last year’s tax package included a levy on the liquid nicotine that e-cigarettes burn to produce an inhalable vapor. The tax goes into effect in July 2016, but e-cigarette industry representatives have called it unworkably vague, given the variation in e-cigarette liquids. Tax committee leaders have said they’ll take another look at it during the 2016 session, and Radke said anti-smoking advocates will watch what comes of those talks. “We anticipate that the introduced language last session may change, and thus, will need to see the language before determining any level of involvement or position,” Radke said. Other health advocates have said they’ll push for e-cigarettes to be included in the state’s smoking ban during the upcoming session. In August, Topeka became the sixth Kansas city to add them to local smoking bans. When the 2015 legislative session started in January, public health advocates had reason to be optimistic they could reach some of their most ambitious goals. The Kansas Hospital Association was ramping up efforts to expand Medicaid coverage to about 100,000 uninsured Kansans with the political implications of the 2014 election over. Newly re-elected Gov. Sam Brownback had proposed to almost triple the state cigarette tax — a prospect that won quick support from groups that fight cancer and heart disease. A budget deal in Washington, D.C., is helping Kansas balance its own books temporarily with an infusion of Medicaid cash. 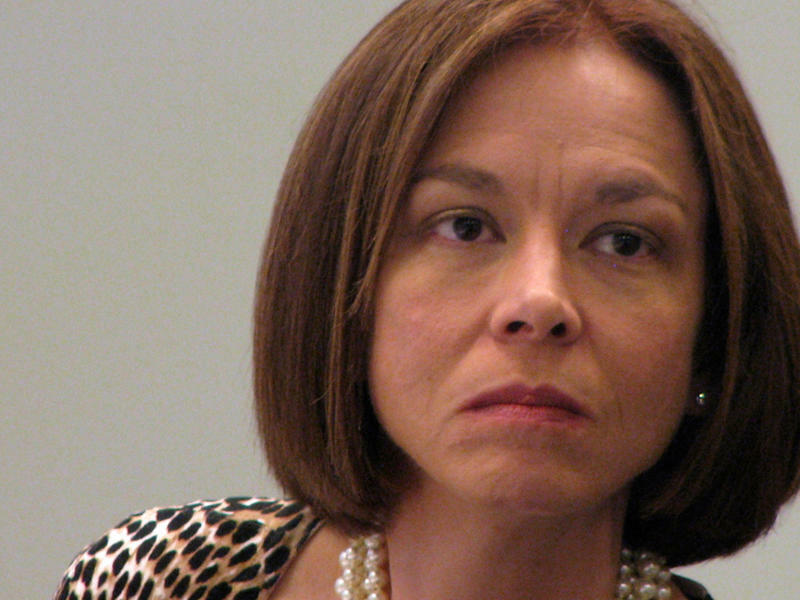 But a Democratic senator says the savings should be used to provide home and community-based services to Kansans with disabilities. Gov. 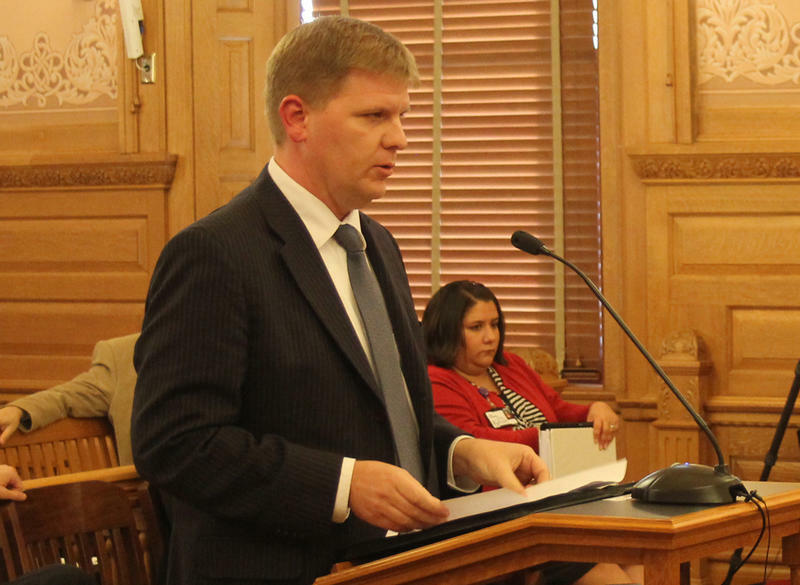 Sam Brownback’s budget director, Shawn Sullivan, answered lawmaker questions Monday about the administration’s plan to shift about $125 million to the state general fund. 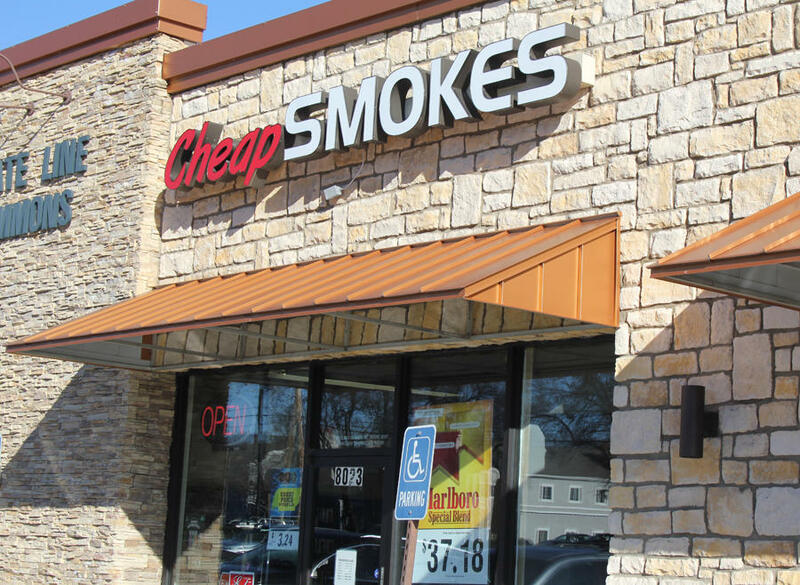 After opposing efforts to hike the state’s cigarette tax for more than a decade, Missouri convenience stores are now pushing two tobacco-increase plans, either of which they said would add $800 million to state coffers within a decade of their enactment. The Missouri Petroleum Marketers & Convenience Store Association on Monday filed paperwork seeking state authorization to place their plans on the ballot in November 2016. The plans include roll-back language that could send the language to court if approved by voters. “We are sick of being on the defensive when it comes to this issue,” says Ron Leone, the association’s executive director.